Knead Bakery for deliciously baked bread! 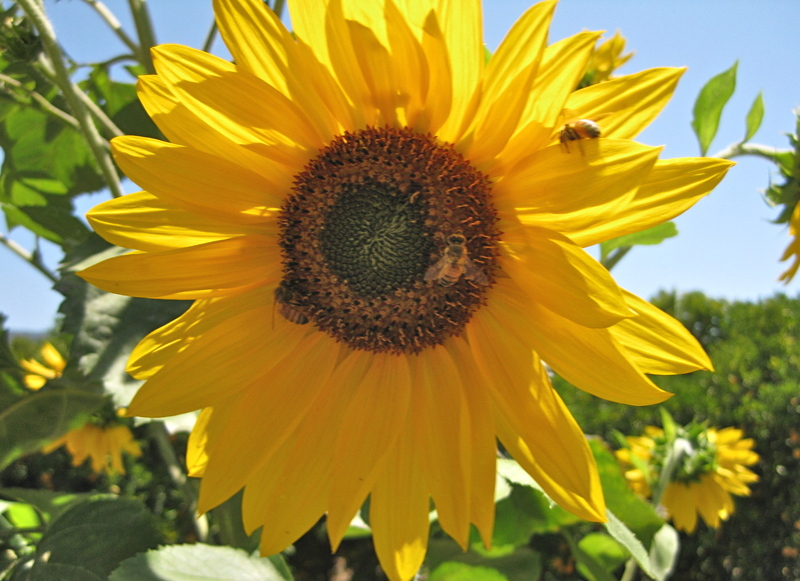 Kudos to Pesticide-Free Ojai for an outstanding weekend of events last week. They featured a nationally-prominent farmer, Gena Nonini, who gave a rapid-fire introduction to biodynamic farming over several days at Oak Grove School. In a nutshell, biodynamics is like homeopathy for the plants and soil, a way to infuse more fertility with specialized preparations. 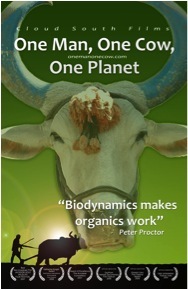 Saturday afternoon, they screened “One Cow, One Man, One Planet” at the Ojai Playhouse and we got to see the huge biodynamic movement in India, where villages are turning away from pesticides and GMOs and embracing these simple methods to revitalize their farmland. The show-stopper, however, was the farm-to-table dinner on Saturday night. In a word — Wow! I thought I’d dropped into southern Italy. Our hostess at Stony Grove (so named for the plentiful crop of rocks in the soil) is transitioning her citrus grove to organic-biodynamic. She and Patty Pagaling of Transition to Organic and Gena, put on the most exquisite evening of dining I can remember in the valley. Three long white-clothed tables with candles were set next to raised stone beds of vegetable and herb gardens and a lap pool, with twinkle lights draped around like a European piazza. Mellow music from a live band accompanied course after course of the most scrumptious, organic dishes. Rarely have I seen so many blissed-out, chewing faces! To top it all off, we had a meteor sail through the sky. Let’s have more dinners like this, celebrating more growers who choose to enrich the fertility and growing potential in our valley. Directly following the movie: 6:30pm: Evening Farm To Table Dinner at a transitioning orchard. (additional price: $125. Group rate available.) Please join us for an amazing evening of great food, great talk, new and old friends, in the citrus orchard under Ojai’s pink sky. The evening will celebrate Ojai’s Most Valuable Assets – Our Farmers, with fresh, organic food, reconnecting the community to the land and the growers who cultivate it. Please join us for an amazing evening of great food, great talk, new and old friends, in the citrus orchard under Ojai’s pink sky. California biodynamic farmer and educator Gena Nonini will teach how to implement biodynamic practices in a commercial-scale farming enterprise, small urban farm, and all facets of landscaping A basis in theory followed by a lot of practical knowledge will enable you to put biodynamic practices to work on your farm, in your yard, at your hotel, golf course or container gardens. Workshop Price: $275. (Group discount available.) Please call to reserve your spot: 805-646-4294. Space is limited to 50 people. Workshop, a group rate of 3 or more: $225 ea. Or you can send your tax-deductible donation, check payable to: CRA (Center For Regenerative Agriculture), with notation: Biodynamic Workshop. Mail check to Transition to Organics, 1129 Maricopa Hwy, PMB 190, Ojai, CA 93023. Day 2 – Practical Applied Biodynamics (with part of the day on a biodynamic orchard) Paradigm Shift in Thinking: The fundamental shift in thinking required for biodynamic practice. The role of fertility in relation to composting, cover cropping, soil structure and humus formation and the integration of biodynamic practices.